I just completed two more quilts using Mark’s shirts and mailed them off to two of his close friends. One was a Trip Around the World, so appropriate for Mark who loved to travel. He’d been so many interesting places, took lots of pictures, and gave great tours of wherever he lived. I used Mark’s shirts for every part of the quilt including the backing and sleeves. I was trying to find a use for the yokes of the shirts. One became the bottom sleeve of this quilt. I had to extend it a wee bit as it was a little too narrow. I bound the raw edges. It flopped quite a bit, so I shoved the rod in the bottom pocket, took two buttons from the shirt and sewed it shut. The other quilt was a Sunshine & Shadow, which also seemed appropriate for a mourning quilt. It is the human experience: joy and sadness. Without one, we can’t appreciate the other. I took a pocket from one of Mark’s special shirts and sewed it on the back. Hanging, by that proverbial thread, is a button from the shirt. In times of pain and sorrow, we sometimes feel like that, drifting, unsure. It’s there against that pocket of hope and positive things, another “light” and “dark” to ponder on the back of the quilt. I still have one more patchwork quilt waiting in the wings, and a T-shirt quilt or two before I’ll call it quits and move onto another quilt that is pulling at my heart. Please pass this post along to your friends. (By the way, if you like me here, please “like me” on Facebook too. These are too cool… nice job..
What a special tribute to Mark for his friends. Very touching. He was obviously a very dear person. You honor him as well as your muse when you find such comfort and inspiration in his memory! 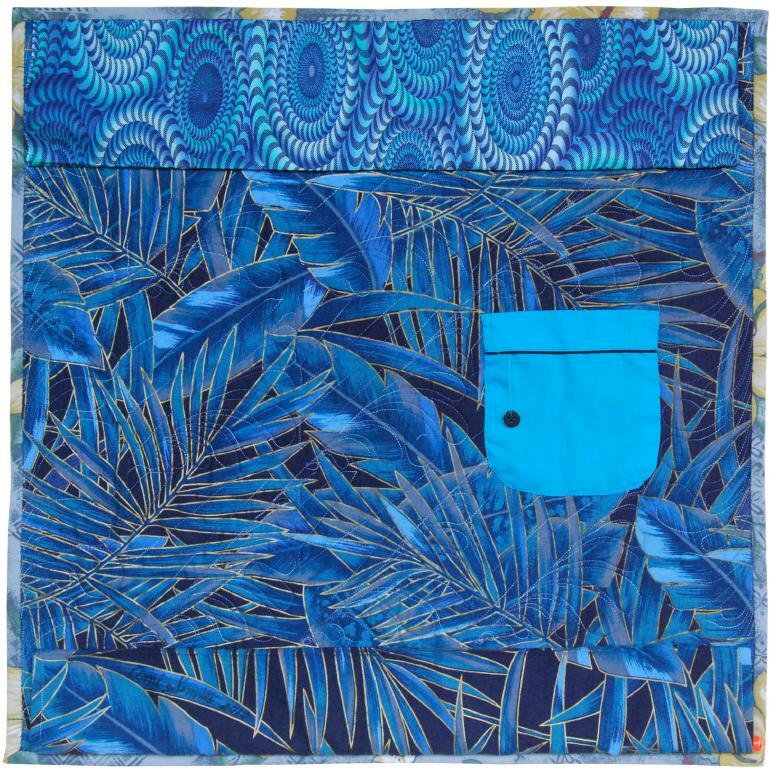 Every time I see these emails with the shirt quilts, I am reminded how healing quilting can be. Beautiful ..
And are these helping your heart to heal as you are helping others? Your creativity has no bounds! Thanks for continuing to inspire me as I do quilts to honor those who are no longer with us. I love them all but especially the sunshine and shadow. I work in home health and hospice and have friends who are mourning the sudden loss of their 35 yr old son. These are so meaningful, Ami. 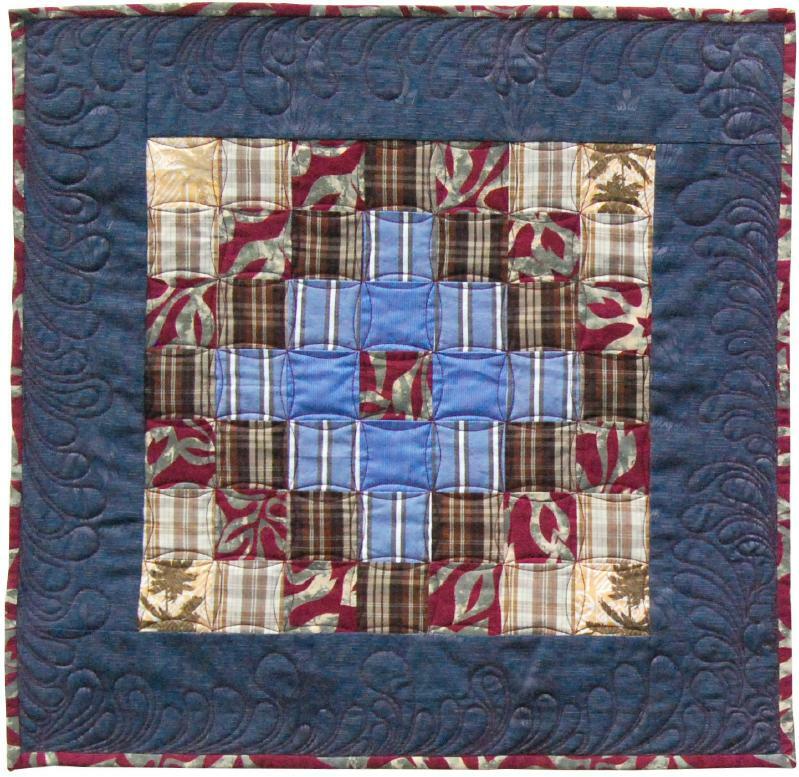 I made a memorial quilt a number of years ago for a young mom who lost her husband to cancer. I used his flannel work shirts and denim jeans. This woman was pregnant with their fourth child at the time of his death. It was an honor to try to make this quilt for her as a tangible reminder of him. I also made 4 small (doll quilt sized) pieces – one for each child to have as their own. What a wonderful idea of keeping your gift alive thoughout the years. Ami, this is such a wonderful idea! I belong to Prayers & Squares and make prayer squares that are given locally. I really think, if the need arose, these would be wonderful to make and give to those close who are left behind to grieve. 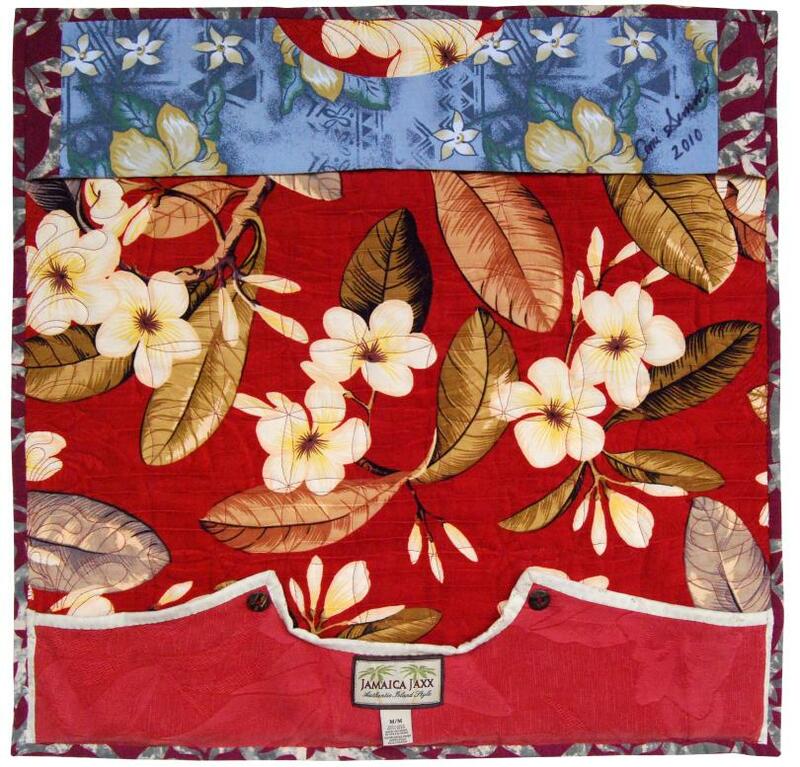 When my brother-in-law (who adored hawaiian shirts) died unexpectedly at a young age, I took his hawaiian shirts and made my sister a wall hanging with each block a paper pieced four inched shirt. It was something I could do to help with her mourning process. I think I know that pattern! What a great idea! I am astonished at what you can accomplish in such time…. Many gifts you have inside you- that you share constantly –with your thoughts and words you inspire those you may.never know..quite a blessing you are paying forward.. Lifting my scissors in salute to your wonderful gifts for his friends. Awesome– what a wonderful idea ! A book would be nice. 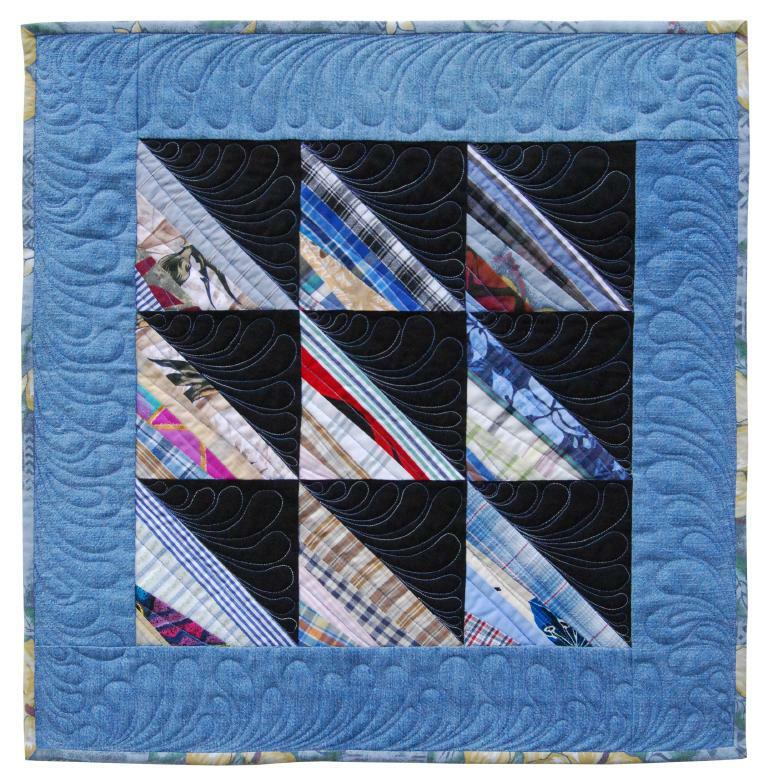 I love the quilts-color especially.